Yay! 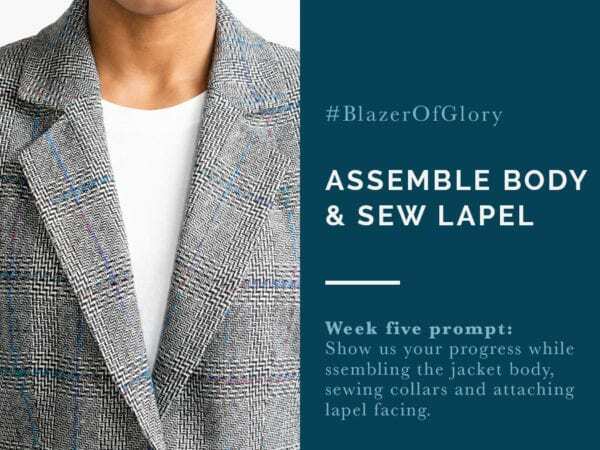 This week for our #blazerofglory challenge we actually start sewing! We spent the first few weeks sourcing our supplies and getting ready for this stage, and hopefully you have all your pieces prepped and ready to go. 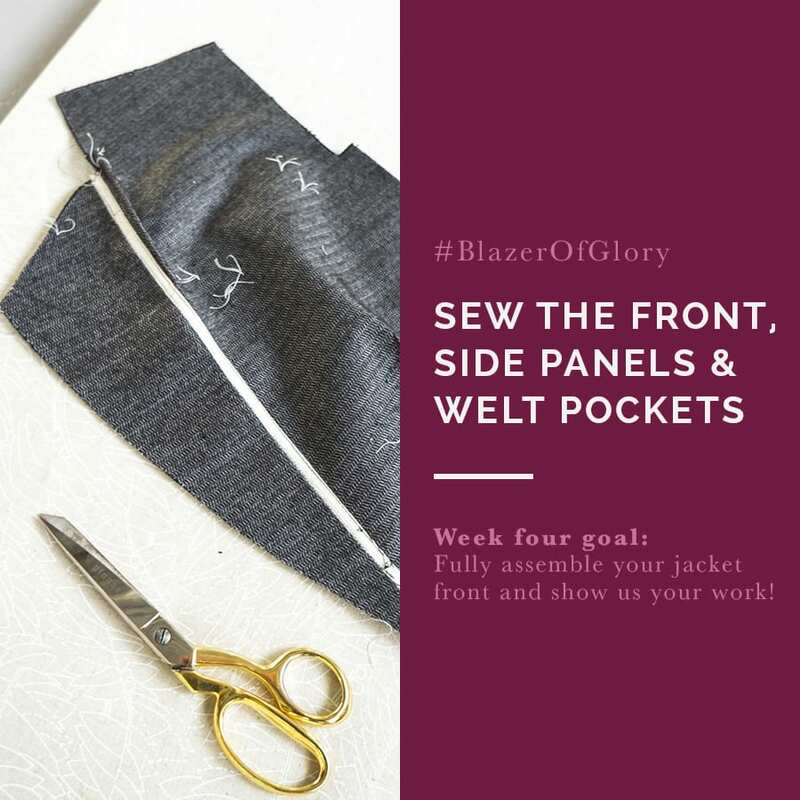 We have tried to break down the construction process in reasonable week-long chunks, and this week we’d like you to get your fronts totally sewn. This means prepping your lapel with twill tape, attaching your side panel and sewing your welt pockets. If you’re having any trouble at this stage, our online course walks you through each and every step on camera should you need the visual aid. This week, we want to see your construction progress! 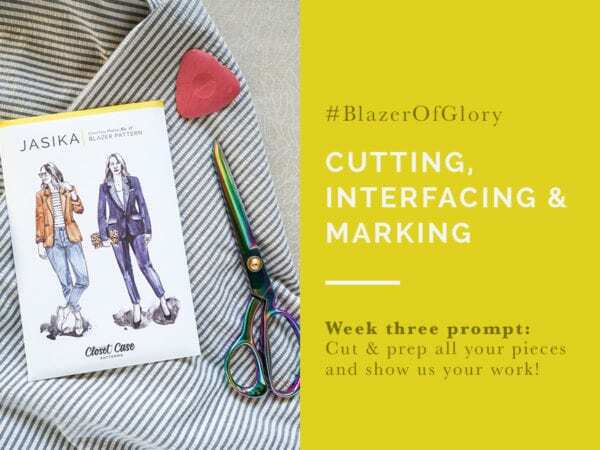 Share your process on Instagram with the #blazerofglory hashtag so we can find you, and to be included in the giveaway. This week’s sponsor is Topstitch Studio & Lounge. They are giving away a lovely prize pack of a $100 gift certificate to their online shop, a cute pair of thread snips and a collection of Kylie & the Machine labels. As usual, we’ll announce this week’s winner next Monday in our Instagram stories. 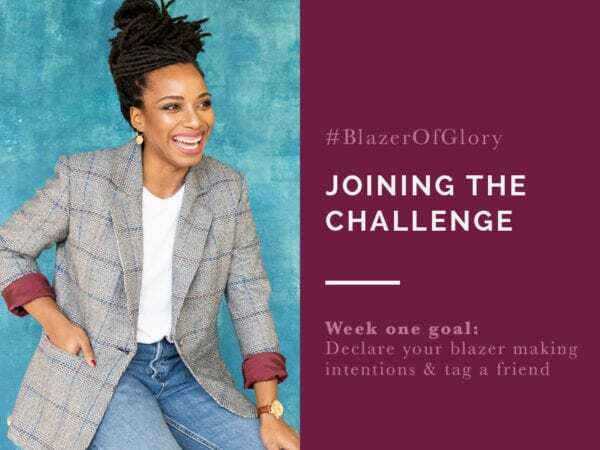 Can’t wait to see your blazers come together!